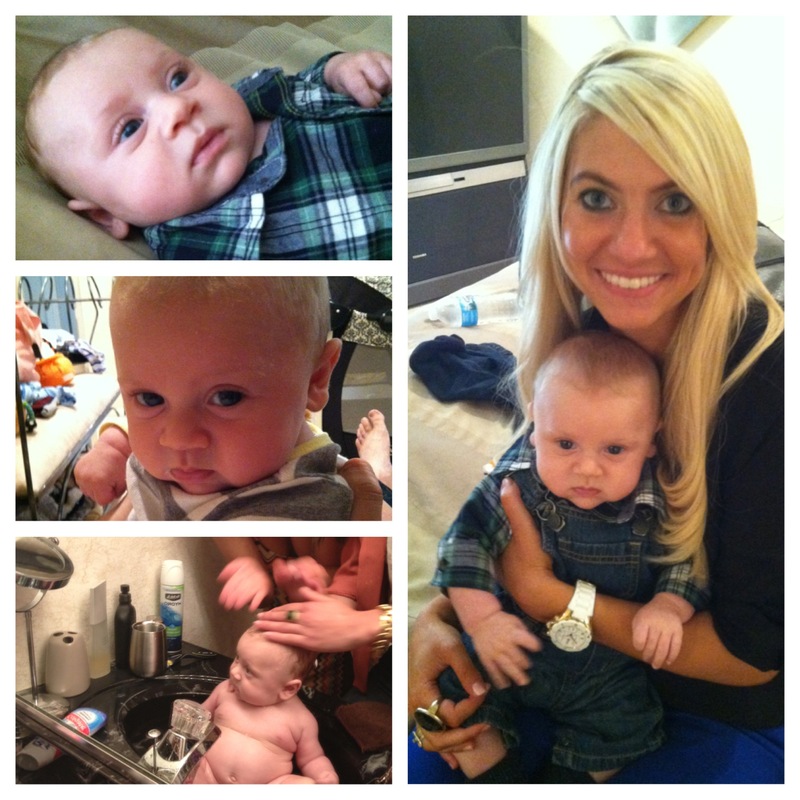 Today I went to Cincinnati to see my sister, her hubby and my adorable nephew, Ethan. 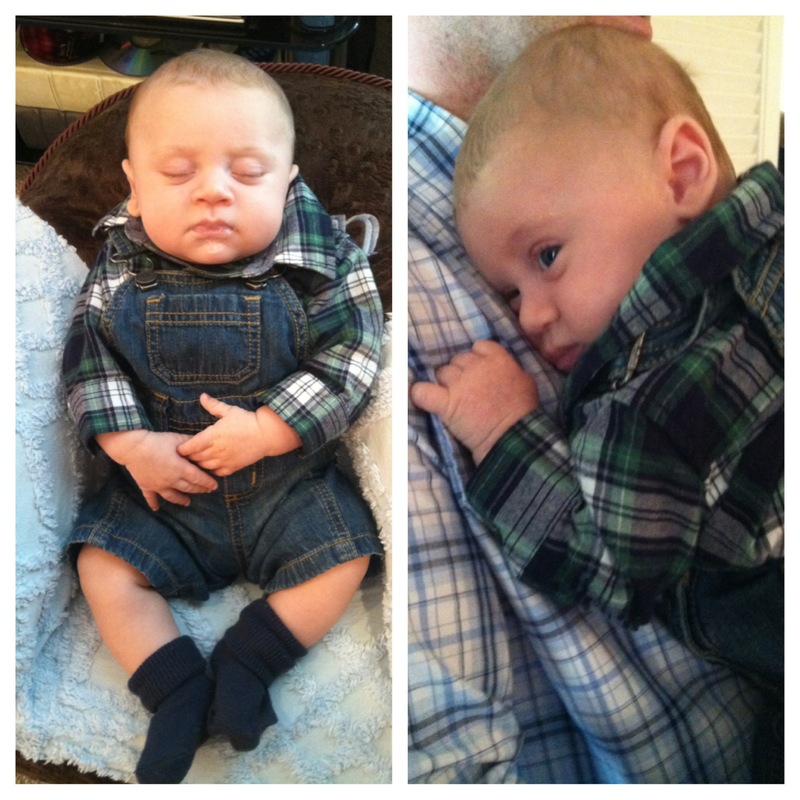 It is beyond unbelievable that my little bundle of cuteness is already two months old. 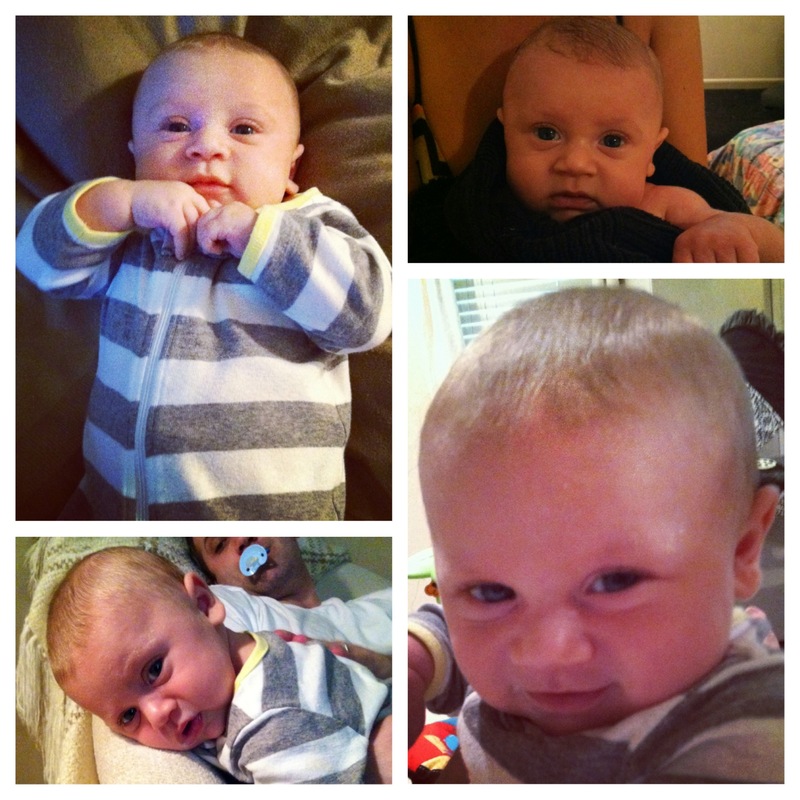 It feels like it was yesterday that I found out he was a boy and burst into the hospital room crying over his perfection. 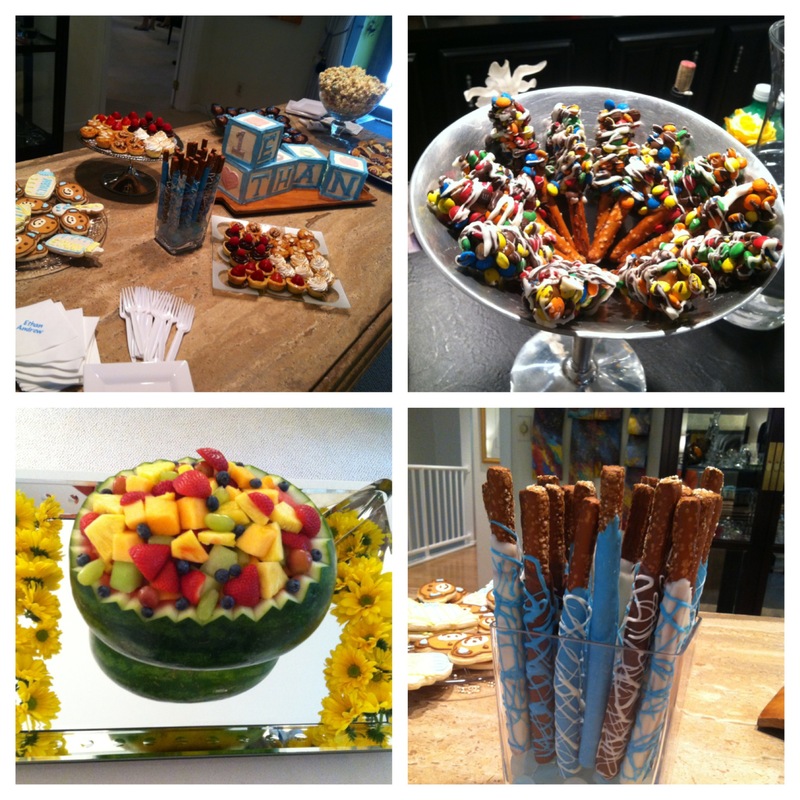 I left Cinci in a legitimate sugar coma. I definitely experienced the crash they talk about after eating multiple cookies, chocolate covered pretzels, white chocolate peanut butter popcorn and dark chocolate covered oreos. We must not neglect the humongous bowl of fruit. It was obviously a healthy kind of day. 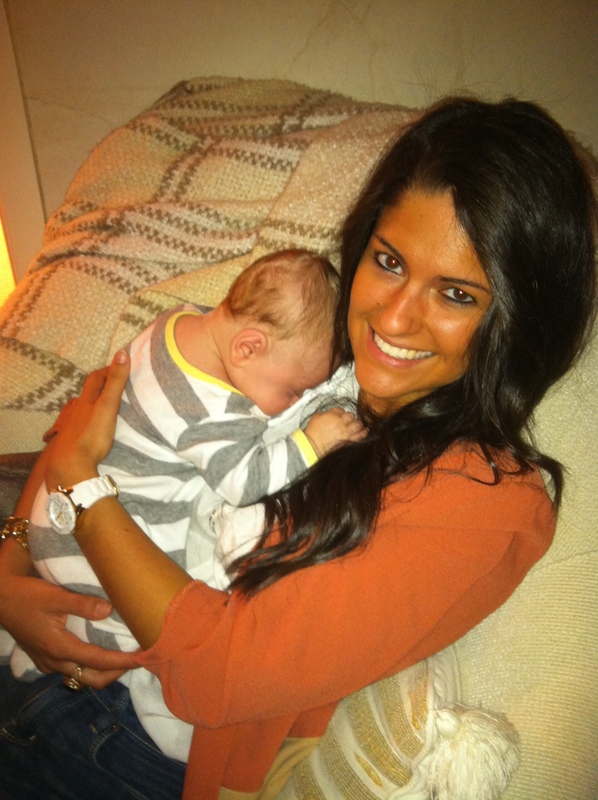 I love this little pumpkin with all my heart. That little guy isn’t the only pumpkin I love. Fall is finally here and I’ve finally restocked my pumpkin stash. I thought long and hard about what I wanted to pack for lunch this week and I couldn’t get chili and pumpkin pie out of my head. 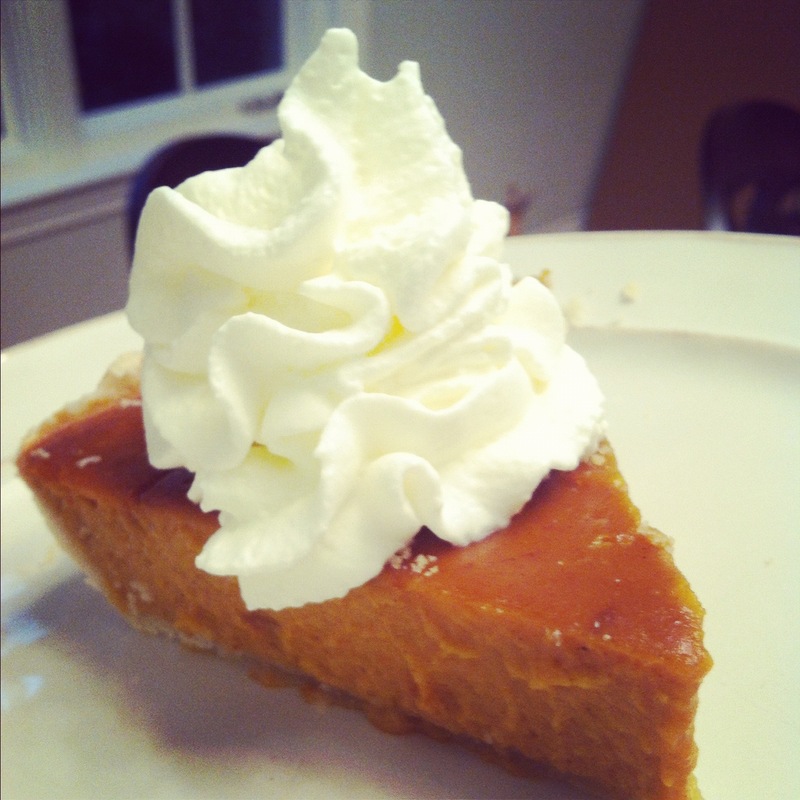 I already made a pie with the girls after school so pumpkin was out. …Or not. My pumpkin craving was far from satisfied. I wanted it in my coffee, my oatmeal, my muffins, my book-bag, under my covers…. Oh and in my chili, too. 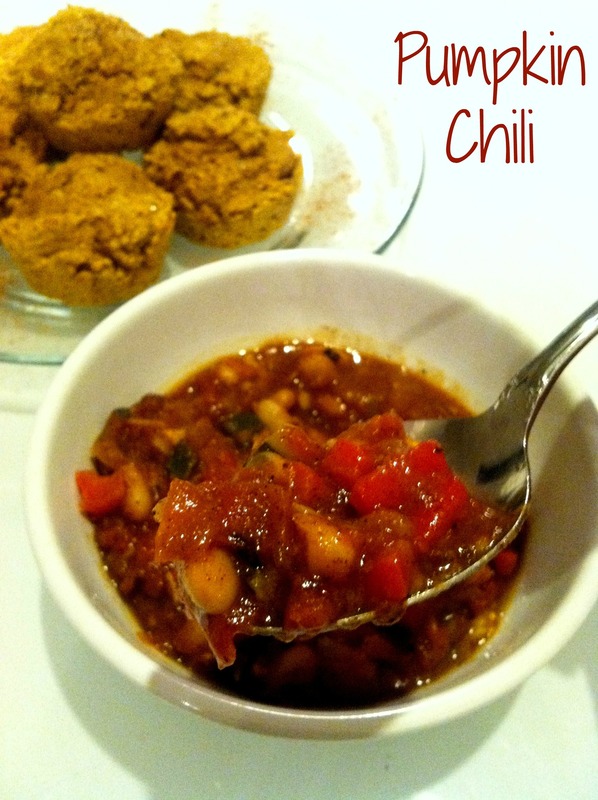 Pumpkin, meet chili. Chili, meet pumpkin. You two really are a smokin’ hot couple. In a medium pot over medium heat, sautee onion, pepper and zucchini in a bit of oil for about 5-7 minutes. Add in garlic and sautee for a couple more minutes. Add in drained beans, tomatoes in juice and pumpkin. Stir to combine. Add in spices and maple syrup. Bring to a low boil and then reduce heat to low. Simmer, covered for about a half hour. 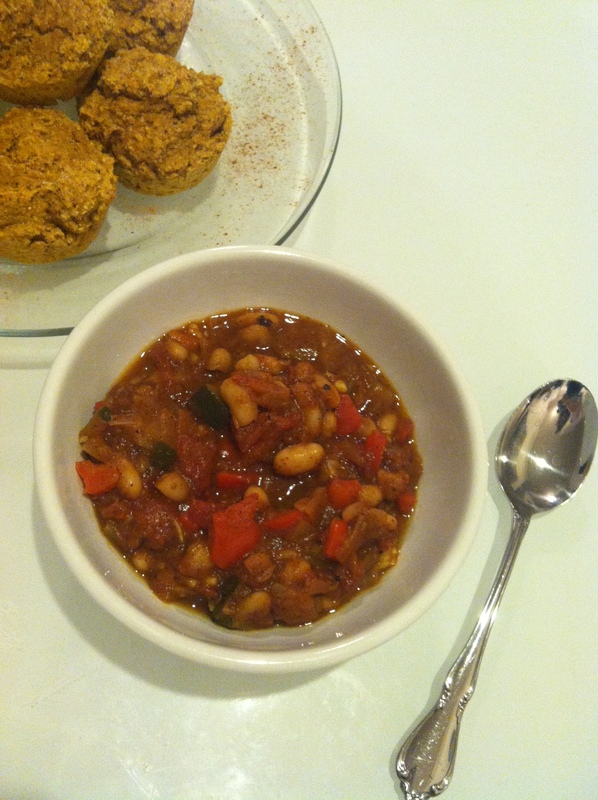 This hearty chili is deliciously sweet, spicy and comforting. The pumpkin is by no means overwhelming– it compliments the spices perfectly! 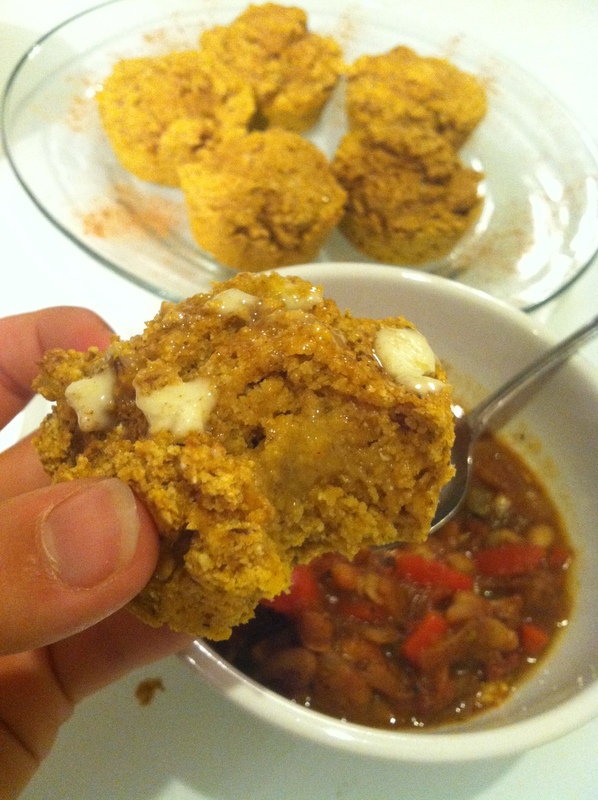 It pairs especially well with a warm, buttered pumpkin cornbread muffin. Preheat oven to 425 degrees. Spray a muffin tin liberally with cooking spray. Prepare “flax egg” by combining 1 tbsp ground flaxseed plus 3 tbsp warm water in a small bowl. Set aside to gel. In a large bowl, combine flour, cornmeal, baking soda, baking powder, pumpkin pie spice and salt. Stir to combine. 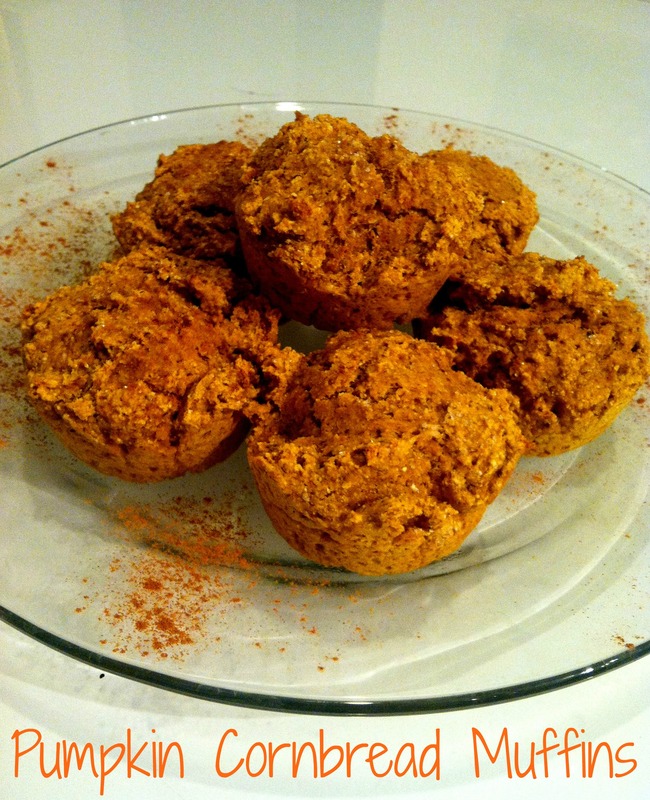 In a small bowl, combine pumpkin, sugar, applesauce, vanilla and “flax egg.” Stir to combine. Pour batter (it will be thick) into muffin tins. Sprinkle the top of each muffin with a bit of sugar for extra crunch. Bake for about 12 minutes. You most definitely must eat these warm with a dab of butter. I’m so blessed to have so much pumpkin in my life. Sweet baby cheezus these are tasty. I was in a serious pickle trying to name these. Toes and fingers with tofu? All I know is that they’re chock full of healthified crispy deliciousness and you should probably buy some ‘fu and make them ASAP. Try them with chicken if you’re feel carnivorous. First, let’s clarify how to drain tofu in order to achieve that fabulous chewiness. Draining tofu helps to remove the moisture that makes tofu mushy. The more water drained, the more flavor and chewiness. 1) Drain the water out of the pack of tofu. 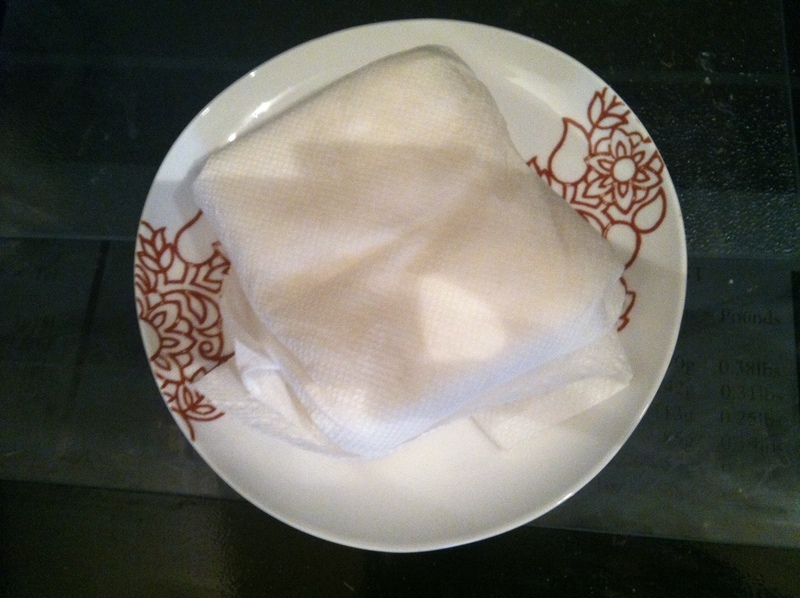 Wrap the tofu in a layer of paper towels/dish cloth and place on a plate. You will probably have to change out the paper towels two or three times (maybe every 30 minutes to an hour) to get out as much water as possible. 2) Put another plate upside down on top of the tofu. 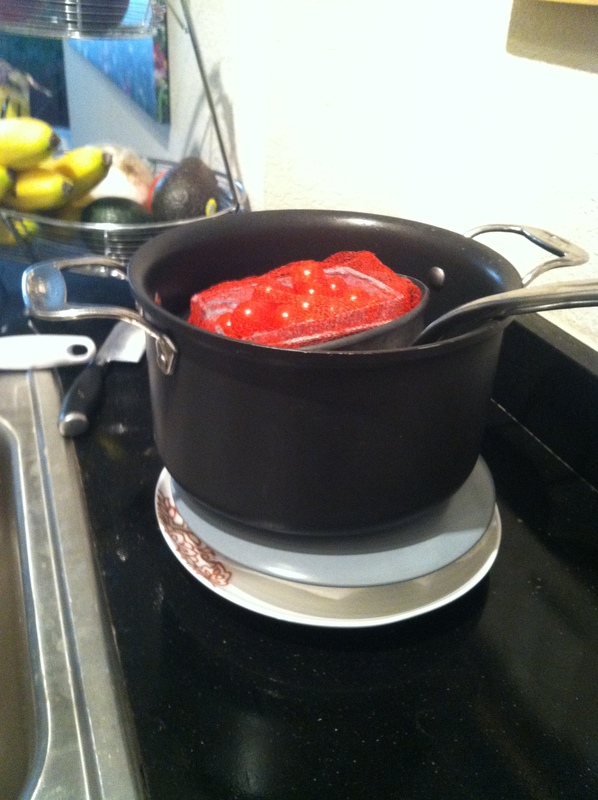 Place a few heavy objects on top of the plate. I used a heavy pot with tomatoes inside. Drain and press tofu (see above for tutorial). Make bread crumbs: Toast bread. 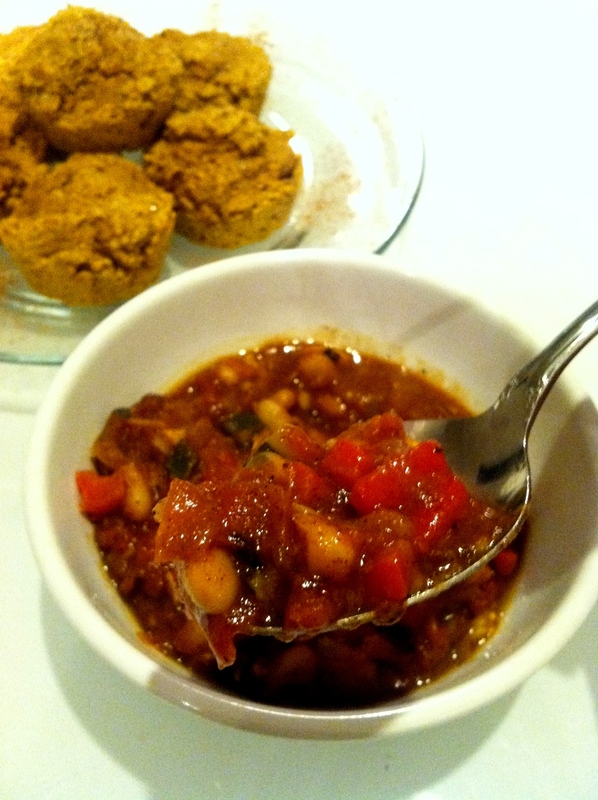 Place toasted bread in food processor/blender along with garlic powder, salt, basil, oregano, and paprika. Blend until the mixture resembles bread crumbs. Set up your dredging assembly line. 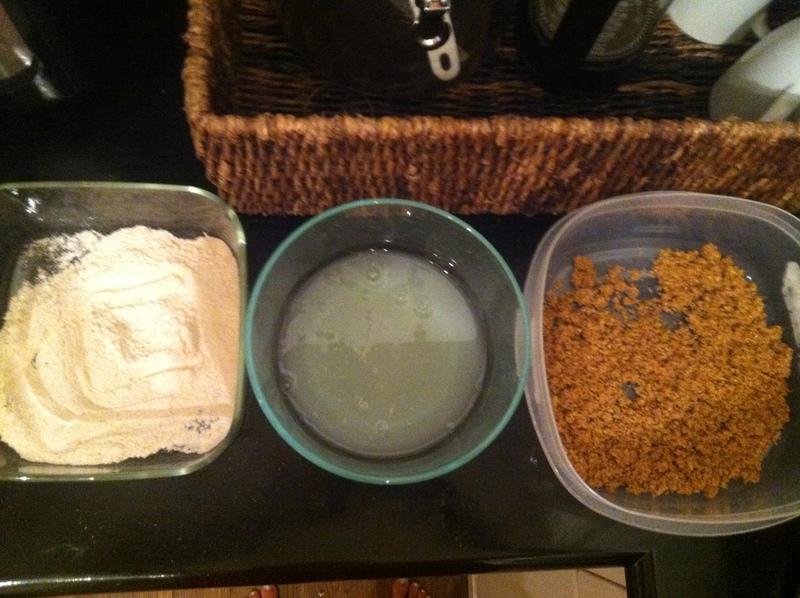 Place whole wheat flour, egg whites and bread crumbs in three separate large bowls. 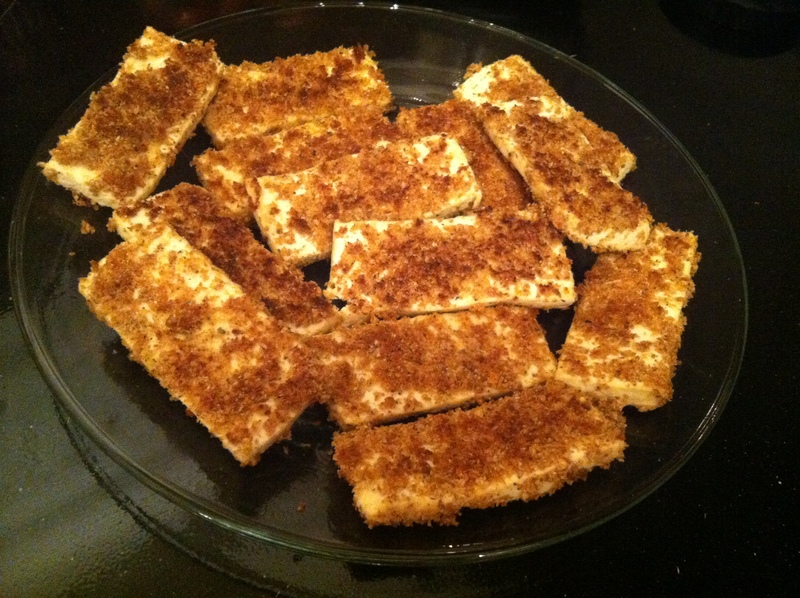 Slice tofu into 1/4-1/2 inch slices. Heat a large skillet with a tbsp of oil over medium heat. 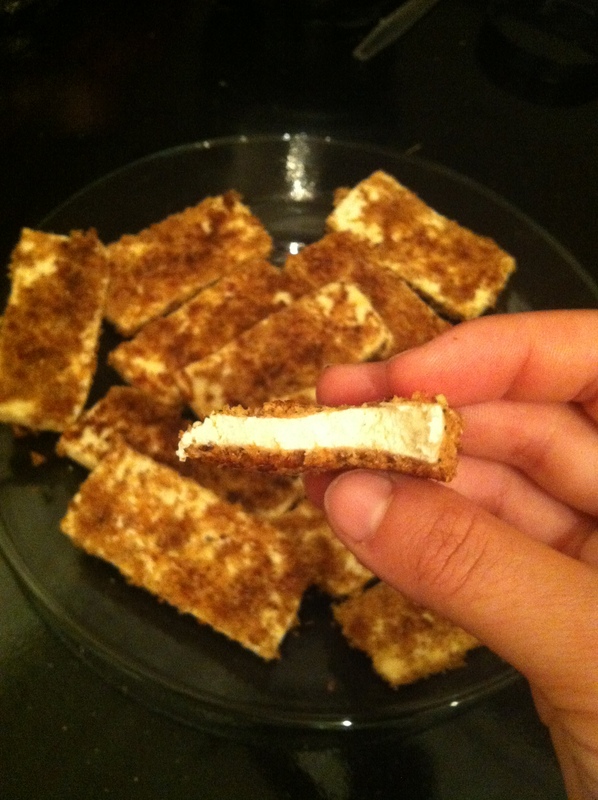 Dredge tofu in flour, then egg whites, then bread crumbs. Make sure to really press on those bread crumbs on both sides! 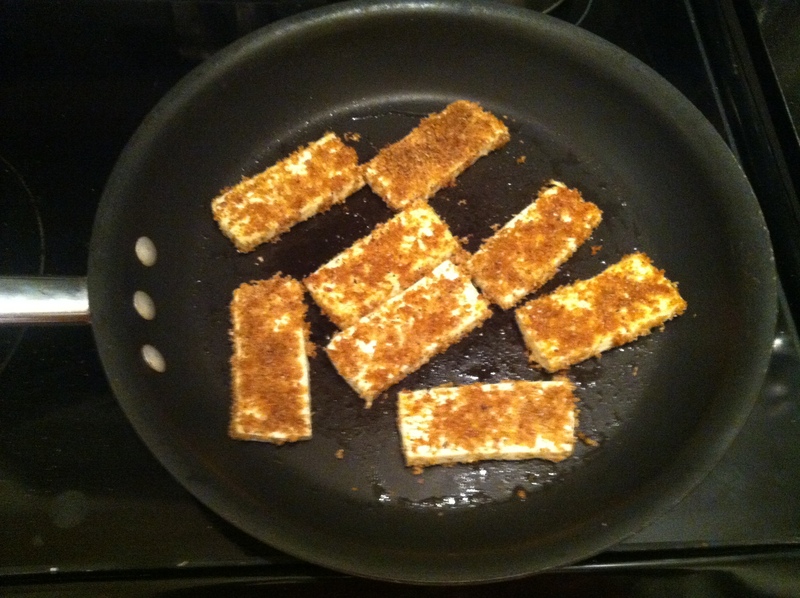 Once pan is hot, add tofu slices. Cook a few minutes on each side, until brown and crispy. Add more oil between batches to ensure even crispiness. Dip in pesto or my favorite Trader Joe’s organic ketchup. If you think you don’t like tofu, I really think these may make you a believer. But I’m sure these would be awesome with shrimp or chicken as well. 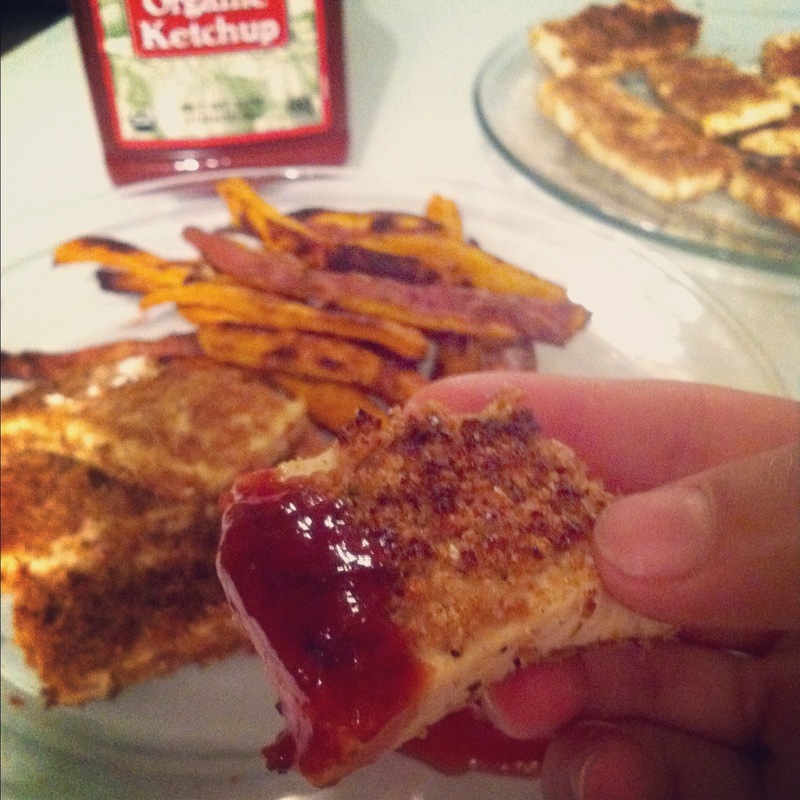 I love love love these tofingers with spicy sweet potato fries. I discovered that it’s actually possible to make crispy ones, which is rather-earth shattering. More on that later this week! My mouth was exploding with happiness tonight. Seriously, people. Exploding. I had an awkward amount of coconut milk left and I’m not one to let all that deliciousness go to waste. I wanted something sweet and coconnuty and man, these delivered. They taste like coconut cake doughnuts with a warm crispy crust. Complete and utter perfection. This is actually my favorite recipe on the blog to date. Whole wheat, vegan, and nothing short of fabulosity. Pretty please go to Trader Joe’s and get coconut oil. It’ll only set you back six dollars. Plus, you can use it as a natural moisturizer, eye makeup remover, and high heat cooking oil… pretty much the best six dollars you’ll ever spend. Topped with toasted coconut, nutmeg and maple syrup, these pancakes are heaven in your mouth. Don’t skip the coconut oil. Don’t nix the nutmeg. Don’t change a thing. We don’t want to mess with perfection now, do we? Preheat a large skillet over medium heat. Melt about a tsp of coconut oil in the pan. *This gives that fabulous crispy coconutty crust, but if you don’t have any coconut oil, then butter or cooking spray will do. Combine dry ingredients in a medium bowl. 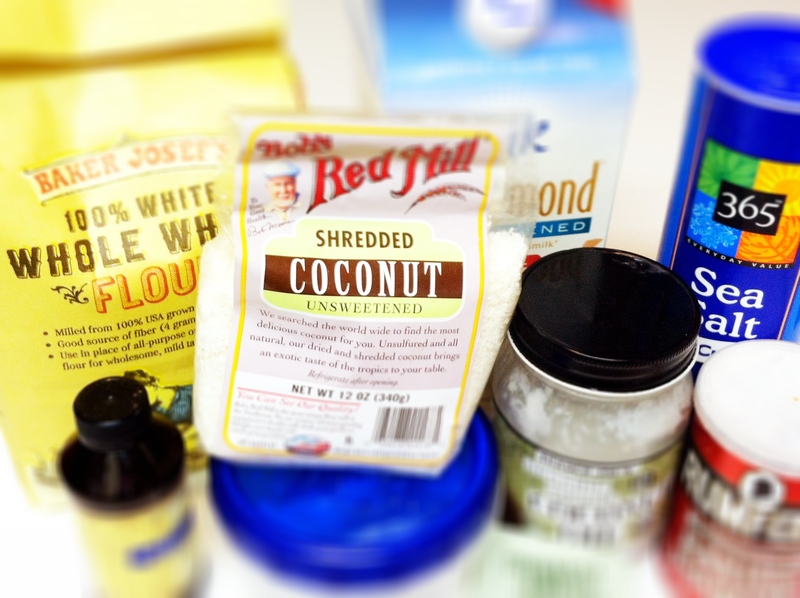 Pour in wet ingredients (including the tsp of melted coconut oil) and stir until just combined. Spoon batter onto pan, forming three pancakes. If the batter doesn’t sizzle, then the pan isn’t hot enough! Cook until pancakes begin to slightly bubble and lift from pan. Flip and cook about a minute or so longer, but don’t overcook! After you remove the pancakes, add a small handful of coconut to the pan. Toast for about a minute, stirring frequently to avoid burning. Remove from pan once golden brown. 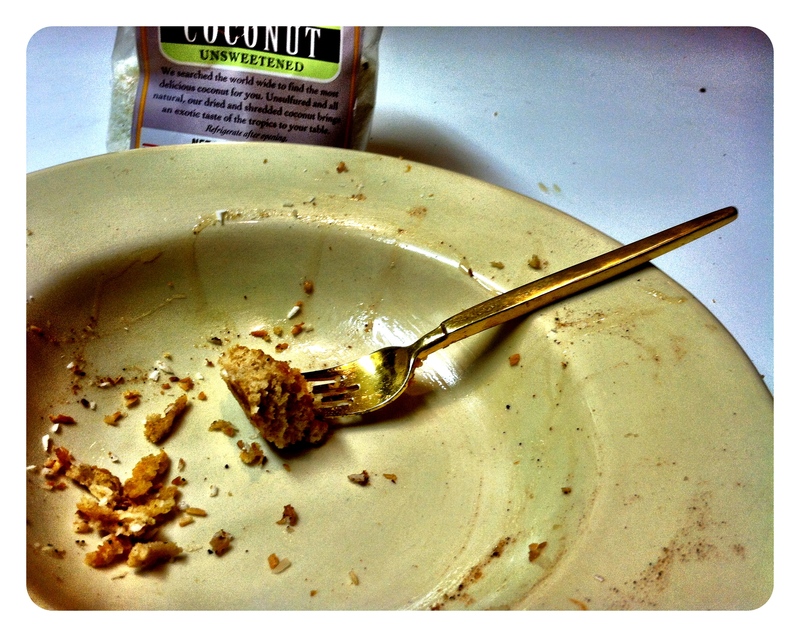 Generously sprinkle some nutmeg and coconut onto the plate and then add your pancake stack on top. Top with more toasted coconut and maple syrup. The last bite on my plate was really a low point in my life. 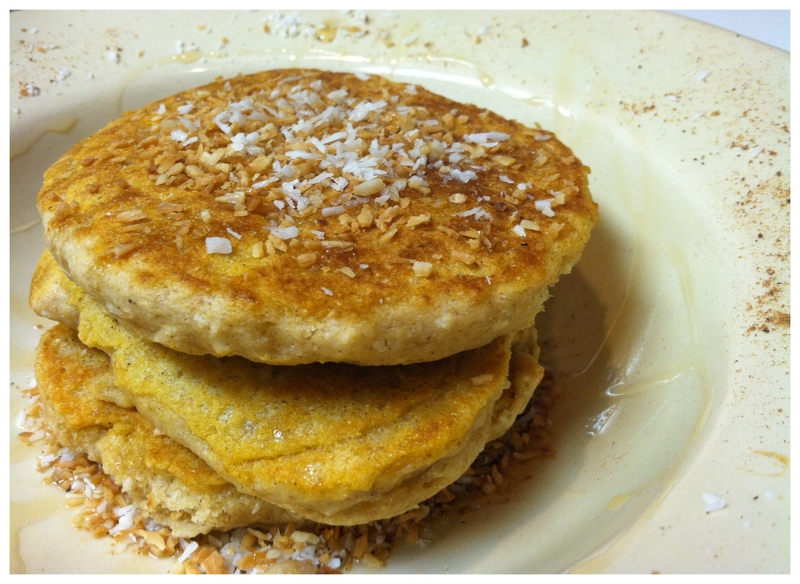 Who needs pina coladas on the beach in 80 degree weather when you have warm coconut pancakes at your fingertips? Okay, I wouldn’t mind the beach. Hi foodie friends! Welcome to Hummusapien. 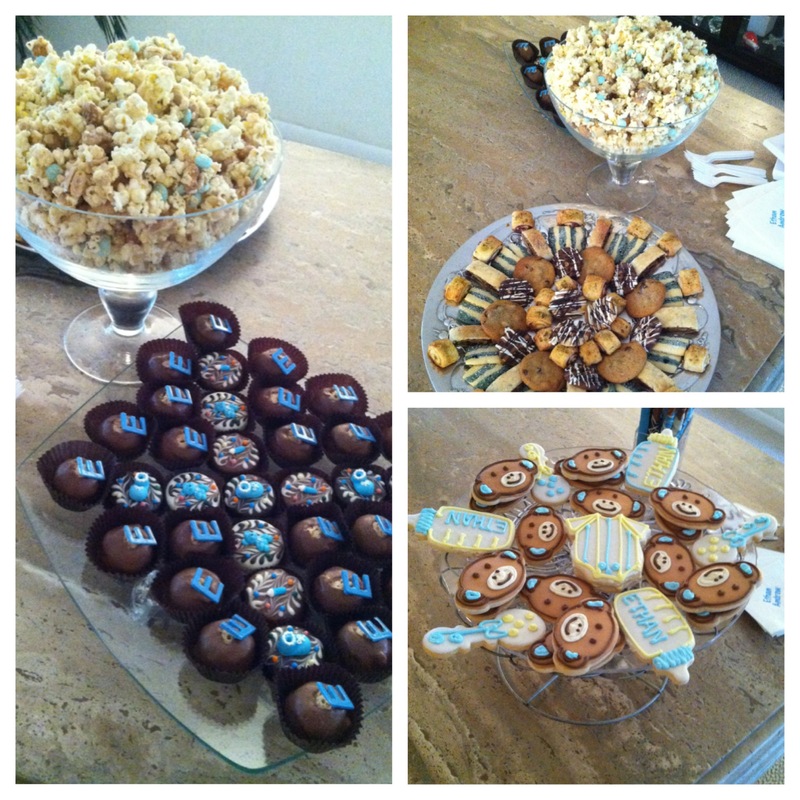 I'm Alexis, a 22-year-old dietetic intern and graduate student obsessed with all things food. Join me on the adventure to maximize our healthy potential and maybe eat some hummus, avocado and a bowl of toasted coconut with dark chocolate chips along the way. 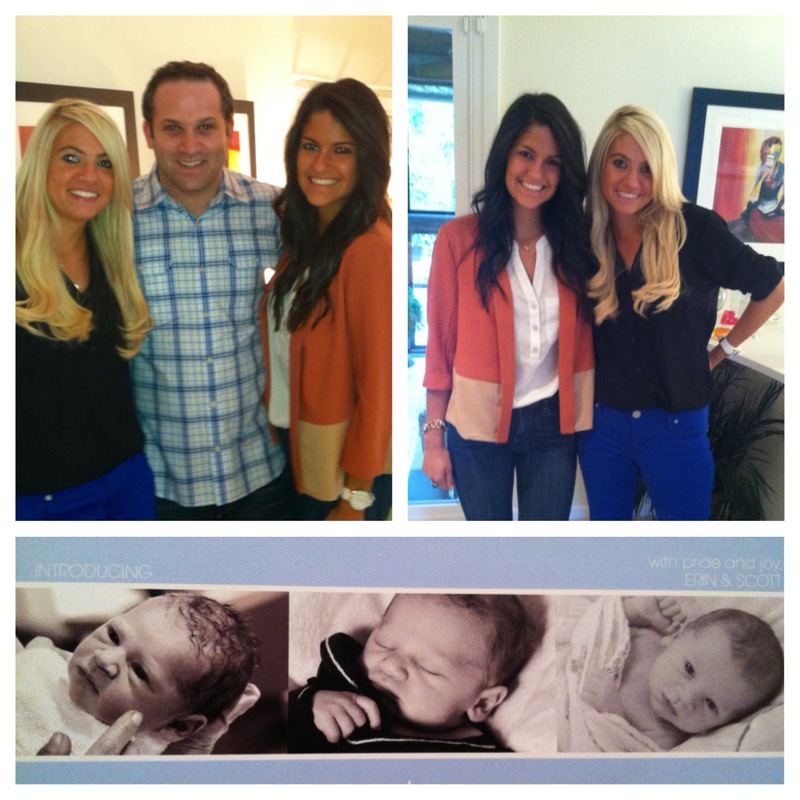 Weekend in Pictures: Three months old!